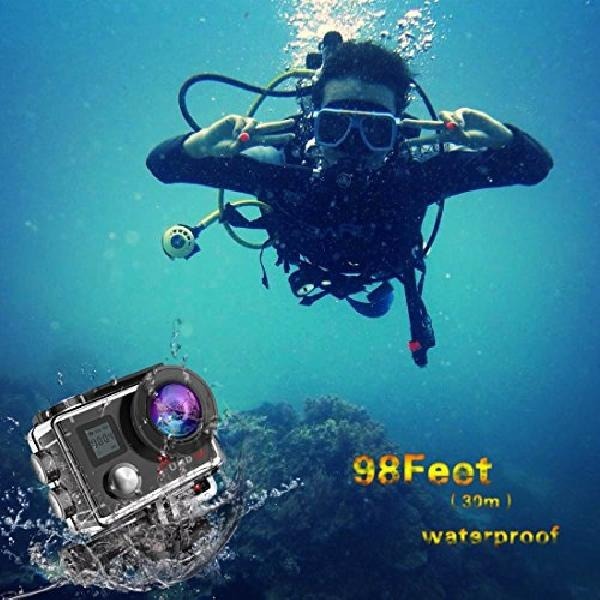 ¿HD Picture & Video¿: Campark Xtreme 2 action camera will record your video footage in 4K Ultra HD at 30 frames per second and capture images at 16 megapixels. With a wide angle 170 degree lens, you won't miss out on any background details and the support of 32GB on an Micro SD card will let you store all your photos and videos right on the camera. ¿WiFi Connectivity¿: across 8 meters lets you connect with smart mobile without any wires. This WiFi is not only a remote control, it allows you monitor in real time, review videos/photos on mobile, set camera feature and record modes. What is more, instantly send pics and videos via email or share them on social media easily. ¿Action Camera accessories included¿: Campark Xtreme 2 Also comes with a nice set of accessories. In addition to the waterproof case, you will get helmet mount kit,4 zip ties, 3 straps, one bicycle mount and more.Also, a bonus is the 2nd 1050mAh battery,a write remote control and a carrying case. 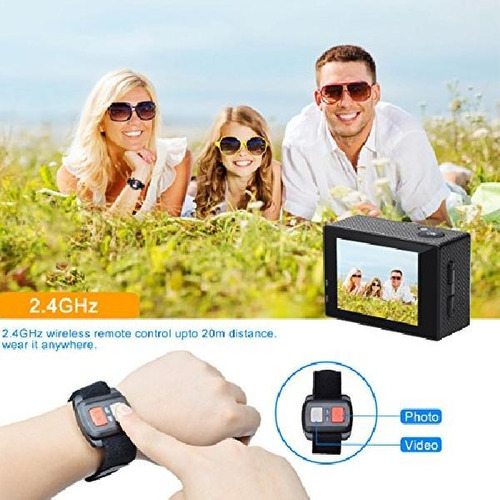 ¿Long Time Quality Guarantee¿: GureeConnect Campark Xtreme 2 camera to your computer with a USB cable to transfer your entire library, or simply hook up it directly to your TV via HDMI.